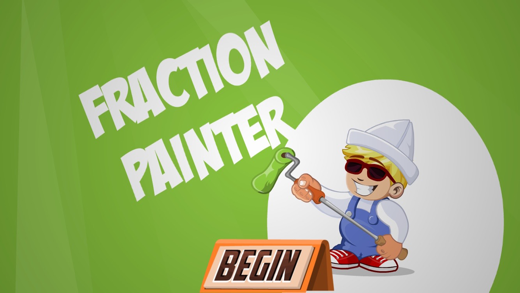 Get decorating with Fraction Painter! 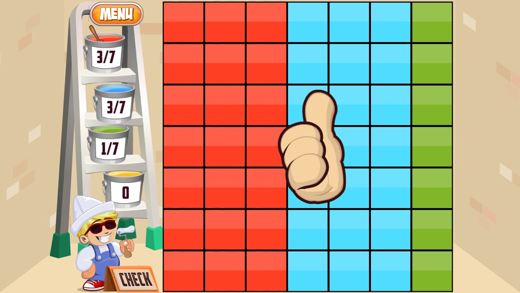 The popular PC based game is now available as an app for your iPad or iPhone. Paint the walls using the fraction of colours stated. 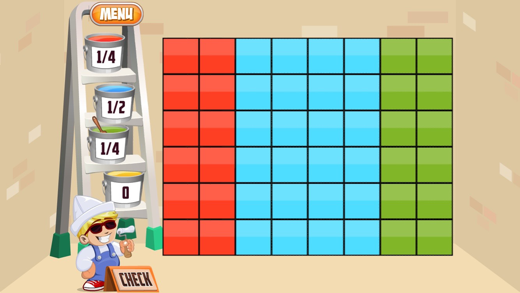 Use the paint buckets on the screen to select a colour. 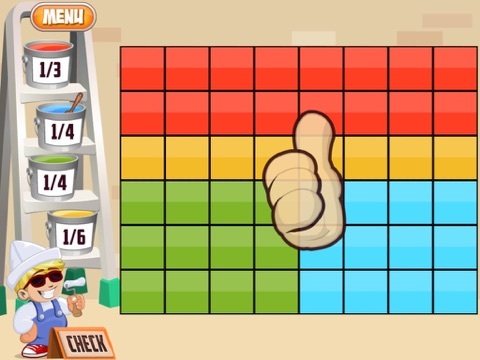 Tap on a square to paint it, or swipe your finger across the squares for continuous paint. 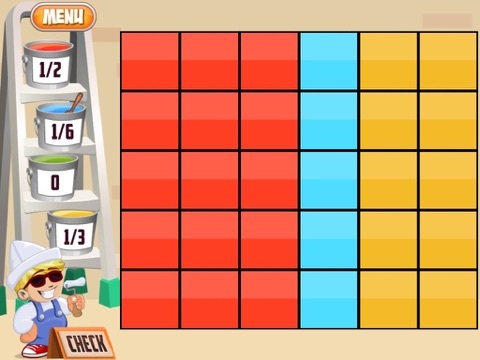 * 4 Levels of difficulty, starting with halves and quarters progressing to all fractions up to tenths. * Reinforces the concept of fractions. * Colourful and intuitive interface. I've never written a review in my life. But then again I've never bought such a useless app. Totally fails to deliver. Save your money. And sanity. Don't buy it. Zero stars.